In 1987 the Alliance of Baptists formed after a split from the Southern Baptist Convention. The Alliance of Baptists affirmed women in ministry and celebrated their voices in the pulpit. 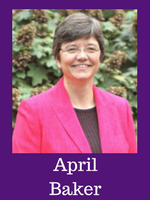 Women in ministry was one of the many contentious issues within Baptist life at the time. As the Alliance has grown, so has the presence of women in pulpits and pastorates across the United States. The work of liberation and singing songs of resistance, existed within the Alliance from the beginning. The Alliance’s covenant, which highlights seven commitments to Baptist distinctives formed at the first annual meeting of the Alliance in 1987. In this meeting, they sang songs of resistance, liberation and hope. They also coined themselves an “Exodus people” while considering their place within Baptist life. The intersection of liberation with core Baptist theology brought to light new ways of considering Baptist identity. Alliance of Baptists’ women clergy found connection between Baptist identity and songs of liberation in a time when Baptist women were systemically excluded from the pulpit. Specifically, these women clergy identified strongly with Mary’s song in the first chapter of the Gospel of Luke, the Magnificat. I chose to work on this project because as I spoke with my colleagues around the Alliance, I kept hearing how important preaching the Magnificat was to them. It had certainly been important to me. As women clergy, we all had stories to tell about the intersection of our lives, our ministries, our Baptist identities and especially, our bodies in pulpits. Mary’s song, boldly proclaims the justice and love of God. Mary still sang, even when she knew her voice would be silences, her pregnancy seen as problematic. I interviewed six women that spanned the generations of 30 years of Alliance life. They too relate the Magnificat to elements of their own Baptist identity. Their interpretations of the Magnificat highlight themes of Baptist identity, including embodiment in preaching, power and agency in the act of proclamation, and the principle of freedom. For many women clergy in Baptist life, their bodies have been seen as problematic. However, when preaching Mary’s Magnificat, a song that Mary sang when her body was seen as problematic, these Baptist women grasped their full embodiment with power as sermons flowed from their lips and their hearts. They believed God had looked with favor on them and they sang songs of liberation. Nancy Hastings Sehested. Personal photograph. October 22, 2016. Isabel Docampo. Personal photograph. September 30, 2016. April Baker. Personal photograph. October 10, 2016. Kyndra Frazier. Personal photograph. October 18, 2016. Maria Swearingen. Personal photograph. October 22, 2016. 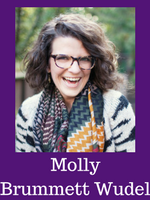 Maria Swearingen Co-pastor, Calvary Baptist Church, Washington, D.C.
Molly Brummett Wudel. Personal photograph. October 16, 2016. The Magnificat in the gospel of Luke is a text where a woman is uniquely given the opportunity not just to speak, but to proclaim the good news. Her song was a bold act of proclamation and protest. Mary sings because she knows of the faithfulness of God. The lives of these six preachers, Nancy Hastings Sehested, Isabel Docampo, April Baker, Kyndra Frazier, Maria Swearingen and Molly Brummett Wudel sing with the faithfulness of God and point us to the ever-loving, ever-creating power of God. The 30th anniversary of the Alliance of Baptists was celebrated on February 12, 2017 across the country and April 27-30, 2017 marks the 30th anniversary Annual Gathering in Raleigh, North Carolina. The theme of the Annual Gathering, Embracing God’s Call to Justice and Love will highlight proclaimers William Barber, Naomi Tutu and the Alliance’s continued commitment to listening for God’s Spirit in matters of justice. All of the women in this project will be present as preachers, worship leaders and in workshops. This project will be presented twice as a workshop at the anniversary gathering. I leave this project and these conversations with an even deeper level of appreciation for the work of generations before me, for the work of the Alliance of Baptists and especially my colleagues who preach the good news of liberation we hear in Mary’s song. Hear these words from Kyndra Frazier as a benediction, in the spirit of Mary’s song. Frazier, Kyndra. 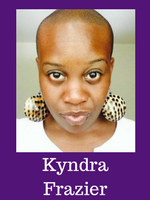 “Kyndra Frazier Offers a Benediction.” Recorded [March 22, 2017]. YouTube video, 0:18. Posted [March 23, 2017]. https://youtu.be/mK02-rQGTQk. 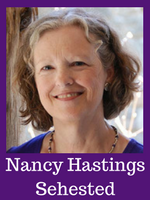 1Nancy Hastings Sehested (Alliance of Baptists’ founder, clergy) in discussion with the author, October 26, 2016. 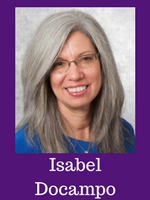 2Isabel Docampo (clergy) in discussion with the author, October 26, 2016. 3April Baker (clergy) in discussion with the author, October 19, 2016. 4Kyndra D. Frazier (clergy) in discussion with the author, October 31, 2016. 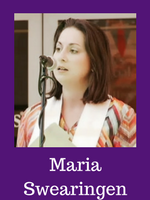 5Maria Swearingen (clergy) in discussion with the author, October 13, 2016. 6Molly Brummett Wudel (clergy) in discussion with the author, October 12, 2016.